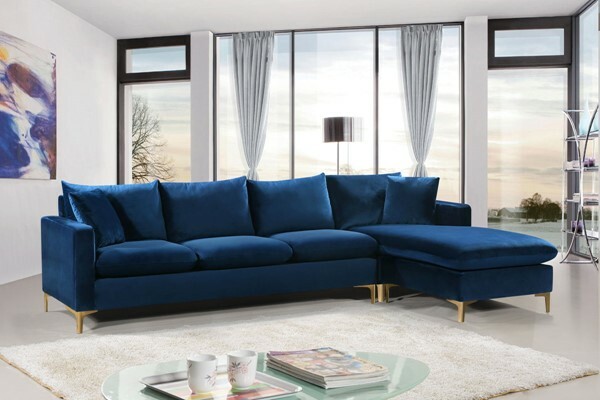 Bring glamour to your living room or den with this Naomi Navy Velvet Sectional. This striking set blends the modern with the traditional for a look that wows from every angle. Luscious velvet provides a neutral element to your room, ensuring its easy fit with existing furnishings. Choose from either set of legs, both gold and chrome, to customize the sectional to your specific tastes. Pillows come with this sectional, adding to its welcoming feel.